Here are some promo codes for the glbasic community. Thanks for your support !! Never had the chance to drive on the autobahn like a bat out of hell? Now you can with iRace3D. The fastest racing experience on the iPhone is finally available, offering awesome features like NITRO and SLOW-MOTION mode. 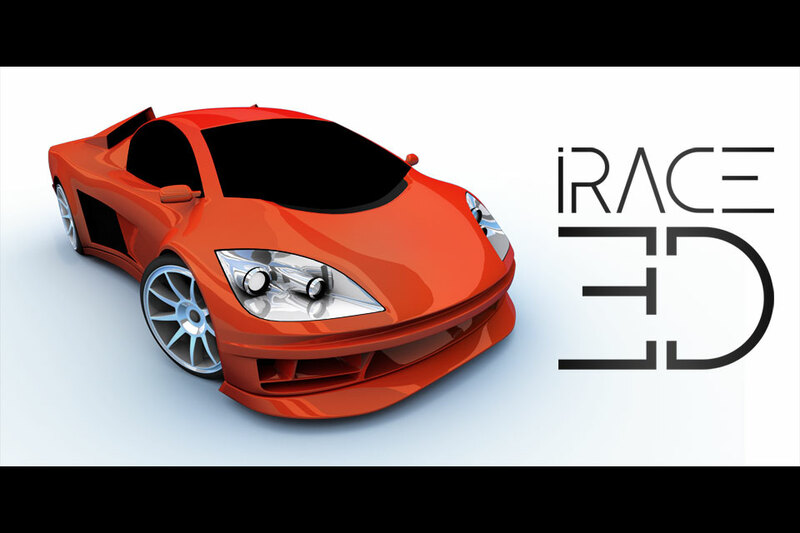 Developed by crazy German speed fanatics, iRace3D will push your reflexes to the limit. This OpenGL 3D racing game offers touch and tilt based accelerometer controls in a classic arcade-style racing game. Your goal is simple; go as fast and far as possible on the highway until the time runs out. he farther you drive within the time limit, the higher your score will be. Occasionally you will pass points that will give you an additional 10 seconds time bonus. Collect items to boost up your energy bar in order to activate the turbo and slow-motion mode. The aerodynamics of tailgating will also ramp up your speed, so stay close to the driver in front of you, but be careful not to crash or your speed will drop significantly. Please give us your feedback so we know how to improve the game: like online high scores, more game modes, and more cars, you name it. We truly value your input and hope that our game makes your heart race. Now fasten your seatbelt, grip the wheel and put the pedal to the metal. 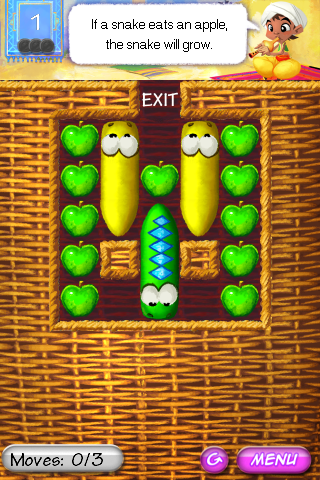 Getting Jiggy is a new innovative puzzle game for your iPhone,iPod touch and iPad. There is nothing quite like it, all you need is an eye for detail and the push of a button. How much do you think you know about the animal world? Are you ready to take on the challenge and beat the Puzzle game. This is no ordinary puzzle game, it is a completely new way of playing puzzle games. You don't actually build the puzzle, instead the puzzle gets built for you. You will be presented with a blank canvas that will slowly be filled with missing jigsaw pieces. This means that the image will be revealed to you bit by bit and your aim is to try and guess the picture in the puzzle as fast as you can. The faster you do it, the higher your score will be. However, if you take too long you can lose points. You will lose even more points if your animal does not match. As you progress through the levels you will have less time in which to identify the animals, making the game more challenging. The puzzle pieces will be revealed to you in no particular order, therefore no 2 games played will be the same. There are hundreds of photos which will be selected at random from the picture gallery, so enjoy a great selection of high quality images. Game is very educational too, it is a fun and easy way to keep your kids entertained while learning at the same time. Game offers an 'Online Scoreboard' where you can record your name and progress for all to share. Please note this current version of Getting Jiggy is based on animals. 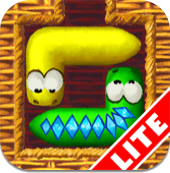 Grab your iDevice, a copy of Getting Jiggy and don't miss out on this new and easy exciting puzzle game. -Are you already played any "keep it ups" game before?? Are you sure? Real Keep ups is a side view keep it ups game that introduce a new concept in this kind of games. Use your foot, thigh, chest to keep the ball in the air!, when the ball hits the ground the game is over! - Use only one finger to control your leg, instead of hitting the ball ! - Arcade mode is a 2 minutes game with some hidden combo bonus to improve your score ! - Share your score and defend your country colors! Will you be the best player in the world? a very simple PUZZLE-BOARD game (my first one game on iPhone, thanks to all for patience and support ). Can you solve the riddle of this puzzle, set in the game of chess? Move the horse as in chess and remove all boxes. Oh my God, it is full of stars! But our sky is not only full of stars, but also of butterflies, hearts, snowflakes,... and all of them, glowing with colors! Expand your art experience with this new kind of painting tool, while you get some fun and relax yourself! Also, your kids will be very entertained while playing with a sky full of dreams. Peaceful music will accompany during game-play, and some beautiful sparkly sound when you spread fairy magic on your screen! Glowing Sky has a ton of settings to play with, and a unique feature: automatic rain. Fill the screen with your desired figure or color, and watch this relaxing experience. Another unique feature will make this even more enjoyable: gravity movement. Tilt your device to move the raining figures. -Relax and fun to play with. -Ton of settings to play with. -Different settings for rain particles and finger particles. -Universal: iPhone, retina and iPad screen displays. If you like Glowing Sky, please, rate it on the AppStore. *If you want to save a image, just press HOME+POWER buttons at the same time. Does your kid not enjoy learning the times table from 1x1 to 10x10? With this game you can change this. 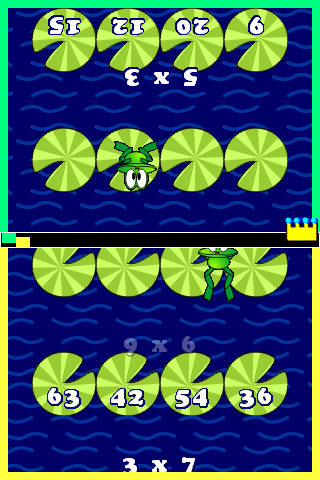 Just tap on the right answer to forward the frog one lily towards the crown. Kids love to learn math with this app. A great time spender when waiting for meals in a restaurant, visiting the family or driving long distances. -2 player mode - kid vs dad, a real challenge! 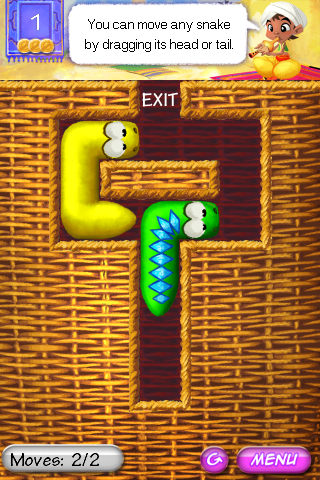 Snake Slider is a simple yet innovative new puzzle game. 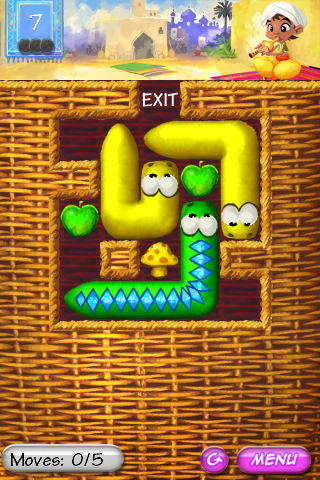 All you have to do is slide the green snake to the exit, but it's more difficult than you might think. 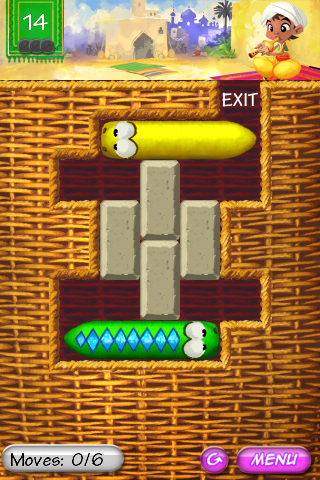 The yellow snakes block the way and you have to carefully move them around. You can slide any snake by dragging its head or tail. The second puzzle set adds apples and mushrooms to make the puzzles more interesting. When a snake eats an apple it will grow, when it eats a mushroom it will shrink. Puzzles with additional puzzle elements will be added in the next update. 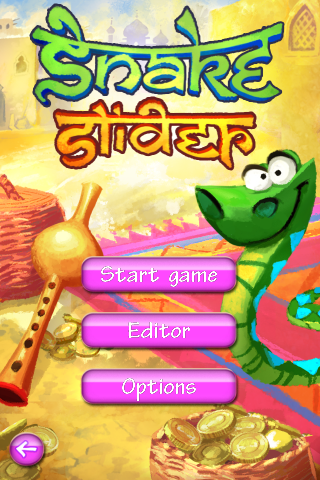 Snake Slider Lite (new) try the game now for free! Added a new puzzle set, the 25 new puzzles feature the movable block puzzle element. You can't move the blocks by swiping, but the snakes can push the blocks with their head or tail to slide the blocks around. no button for return, just touch with two finger. the same simple rules: Move each Snake on their own eggs. 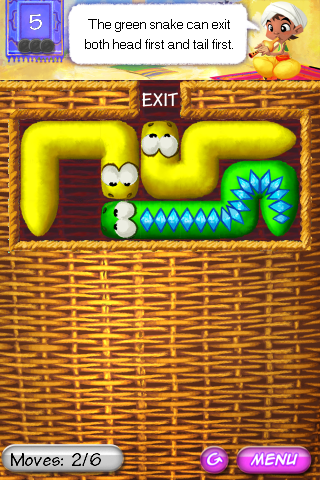 In this version you can find enemies/obstacle like: snakes without eggs or special tile that allow/deny the movement. 64 levels that will entertain fans of the genre. Bored of driving long distances? Bobble Heads is just for you! Get great visual feedback of the bumpy road condition with this classic 70th retro gadget. Bobble Heads is a collection of funny characters that shake their head by the shock of the device. It's like having a real nodding dog in a jar. -be "THE KING OF THE ROAD"
iWheelColor is a color picker, very intuitive, allowing you to easily view the color combinations. iWheelColor allows graphic designers, programmers and web designers to find the correct color combinations. Through a simple graphic you can find the perfect color and its harmonies. This is because in the world of web design and development of the choice right colors is very important. RGB, HEX, CMYK, HSV, and Grayscale Safe Web just to come in against all the requirements. - Straight flush with color gradations from light to dark. - Touch the color wheel and turn it to select the color, while maintaining a harmonious relationship. - Number of colors in RGB, hex, CMYK, HSV, WEB Safe and grayscale. - Preview of complementary colors. TASTE of FREEDOM is a classical match3 game with a pleasant graphics and music. Play as "Nick Trouble", an audacious troublemaker that laughs of the danger...when he can. Jump into his canoe and throw yourself through the most challenging rapids in various locations, from a lush forest to the most inhospitable places in the Arctic. Go across strong water currents, avoid rocks and swirls, evade landslides and do not be devoured by crocodiles. These waters are really dangerous! Try to beat the challenges getting all the achievements and compete for the best score worldwide thanks to its complete Game Center support. Fun is guaranteed! * 24 levels distributed in 3 different locations. * Fantastic graphics cartoon style. * Game Center support, with achievements and leaderboards. * Retina and HD support.